It's a pleasure to welcome Craig Hermit back to atpw.co.uk. This time Craig's back as interviewer! This heavyweight competitor is incredibly agile for his size and able to out-power some of the most dominant opponents. With his ever-growing ability in the ring and his strength and tenacity, Roberts aims to make waves as he stands alone as a singles competitor like he has done in Insane Championship Wrestling, Scottish Wrestling Alliance, Pride Wrestling, Caithness Pro Wrestling, Alpha Omega Wrestling and many others. ATPW - The obvious opening question then, did you get into the wrestling industry and when did the interest develop? Bobby Roberts - I’ve always been a fan for years and years. Obviously, growing up with (Hulk) Hogan, (The Ultimate) Warrior and Macho Man, all the way through the cartoon period kinda thing, then growing up, the teenage years, WWE had the Attitude Era, so that got me right into it, I was rebellious and that fitted in. Then I watched the documentary, Beyond the Mat, famous documentary, it opened my eyes to the world of wrestling, being backstage, the politics, the drama, the production and everything about it. I just said to myself, I wanna do this, unfortunately at the time I had no money to train and where SWA was originally based, I was unable to get to via public transport on a Sunday cause I stayed in Ayrshire, and travel was equivalent to using a horse and cart. Turning 18, I went to the army, met my wife, started playing football for a while, got bored of it, wasn't a passionate thing as I was still into wrestling so I thought, right bugger it. If I didn't do it now, I never would. So, 30th April 2011 came around, I stepped into Source Wrestling School, my first training session was with Paul Tracey which was brutal and ever since then I've never looked back. I débuted on 18th November 2011 and the same year, I won trainee of the year award. I was going 4 days a week, sometimes constantly, just applied everything I could to get to training. I mean, I'm married so, I didn't get to see a lot of my family. I was borrowing money to get to training constantly off my wife, my parents and everything I done was wrestling related. I lived and slept wrestling through that period of time, still do, just at that period of time I wanted it, went for it and I'm still here. When you started your training, within Source Wrestling School, how did you find it and was there anyone who has been influential in your training? Damian O’Connor and Mikey Whiplash by far, Damo trains you hard but it’s worth it, he sees the potential in people, exact same as Whiplash. He just sees the potential oozing out of some people and pushes you that much harder because if you've got it, he wants to see you come through, Damo as well. I had a lot of personal problems, spoke to him face to face and he gave good advice on it. Whiplash is constantly pushing me as much as he can, always helping me on wrestling. Both have a completely different way of telling you the same thing but both make so much sense. One piece of advice that always stuck with me, “Just because you can do it doesn't mean you should!”, I’ll always remember that. You have been part of Reckless Intent Wrestling, what are your thoughts on the progression that has made in the last few years? Absolutely fantastic, they have just grown, any company has to start from somewhere and they have just grown and grown. Some of the people they have brought in, myself, Chris Renfrew, DCT, Damian O’Connor and Colt Cabana. Last year Cabana was there and that was a sell out show. It went from the Reckless Intent Unit to Morrisson Scout Hall and it’s been selling out every time we are there. You are not just part of Caithness Pro Wrestling in the North of Scotland, but you are the CPW Heavyweight Champion, what are your thoughts on the progression of CPW and the next step? Well, the next step is for it to continually grow, the promotion is bringing in new people, myself, Viper, Solar and the potential of the main roster itself is absolutely phenomenal. Look at them, Kitty Trouble, who has embraced a new image change, Big Bob, I've already said how much of a powerhouse he is, you still have former Champion Solomon and even as we spoke about before The Abandoned who are a completely new faction in CPW, who may be targeting me but that's only at the moment, everyone show watch out for them. I've only mentioned a few of the CPW roster there, so it's clear to see the CPW is growing as a company at more and drawing more attention from fans all over Scotland & down in England. Staying with CPW, you have had issues with the faction known as The Abandoned who have made you their next target? The Abandoned are a strange one, I've wrestled Eric before, I've fought the Son's of Solomon before both in hard fought matches at CPW Ransoms something has just appeared to click in his head and they have made me their target for some reason. The thing is though, he's playing a very dangerous game if he's coming for me, like I said at the last show, I'm the CPW Champion, your welcome to TRY and take this Championship away from me. 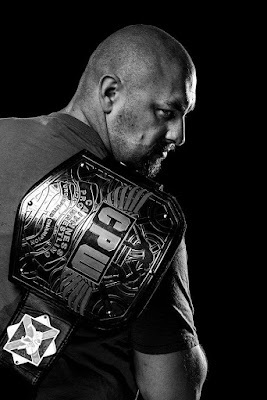 Recently at CPW's last event, ' Pride of the Highlands, Big Bob won a fantastic tournament to be granted a title shot anytime of his choosing, your thoughts? That will certainly be one hell of a match, he's legit 6 foot 8, he's built like a bear and there's very few people not just in CPW but in the UK with his frame and his ability. He's a man I will concerned about when he cashes in that Title shot and if I'm still the Champion when he does, but he will realise the I'll do everything I can to keep this Championship. In Alpha Omega Wrestling in Morecambe, you are part of the Referendum, the Scottish representatives who are on a continuous winning streak at the moment since last year, what do you feel about the reactions you get from the fans? It is a kinda typical English reaction to Scotland winning, isn't it? They can't handle the fantastic Scottish talent we have, it is as simple as that. Everyone mentions the British Wrestling scene, there wouldn't be a British Wrestling scene if it wasn't for the Scottish talent in Scotland. Scottish talent is the best, we, The Referendum, showcase that Scottish talent every single time we are at Morecambe in Alpha Omega Wrestling. I mean look, we have Viper, the most dominant female in Britain never-mind Scotland, there's Davey Boy who has yet to unleash just how crazy he can get, you've got Lewis Girvan, just an amazing talent and you've got me, the Enforcer of the Referendum. ICW fans are continually taking about the partnership you have with Joe Hendry, your unique entrances especially? How did the idea come about? I say Joe comes up with the ideas for the entrances and he thinks I've got real comedic timing, I'll agree to that, but Joe has a great comedic mind and we do have great chemistry. I feel comfortable with him for the things we do at the entrances but we'll see if there's more to come. 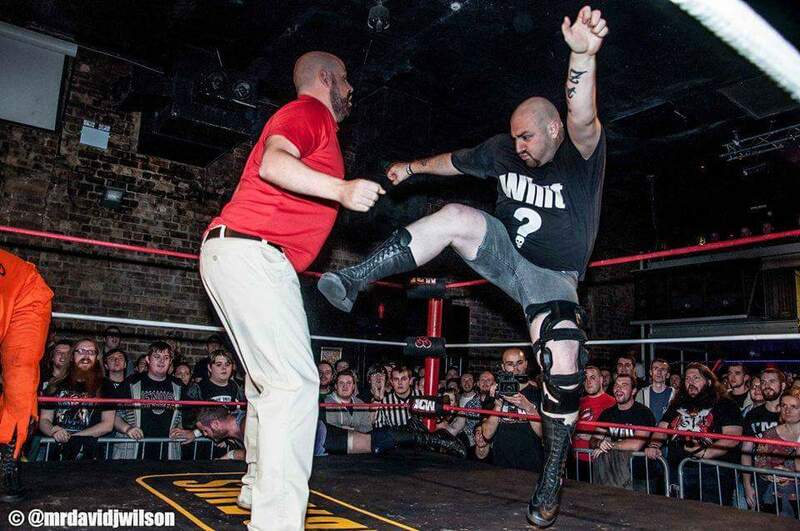 You have wrestled for numerous promotions across the UK, what ones would you love to wrestle for? PCW is certainly one I would love to wrestle for along with my tag team partner Lewis Girvan, the fans down there are superb and fantastic range of talent they have is phenomenonal. PROGRESS as well, just amazing what that promotion has been able to achieve but honestly any promotion that I'm a part of I make sure the fans will always be entertained. Lastly, where can fans see you next? A big thanks to Bobby Roberts for taking part in the interview, as well as Craig Hermit for conducting it. You can find Craig on Twitter here.